I've decided to start a new series entitled "Pinspiration" on my blog. Everything beauty & fashion on Pinterest that I find interesting or inspiring will be here. I thought I'd start with nail art & believe me there's plenty of it on Pinterest. Below are some of my favorites. Simply click an image to go to it's pinterest page. 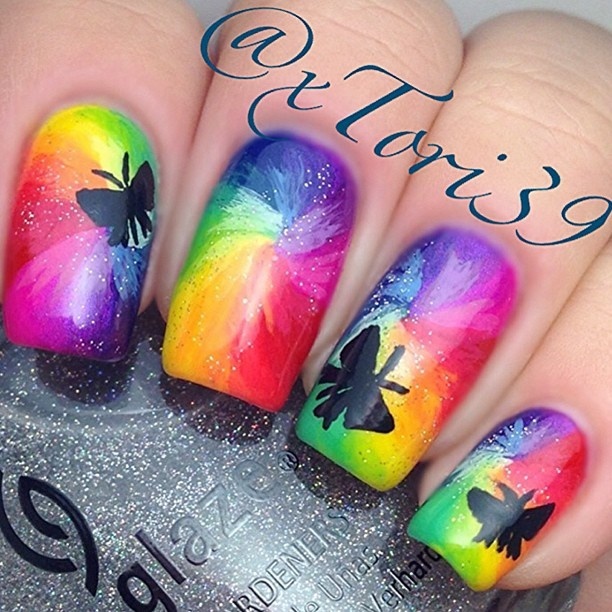 I love bright nail colors as it is, but I love the bright swirling colors along with the stark contrast of the black butterfly. Bright colors remind one of the wings of a butterfly, very fitting. Ah, Summer. The beach, pool parties, & as much watermelon as you can handle. 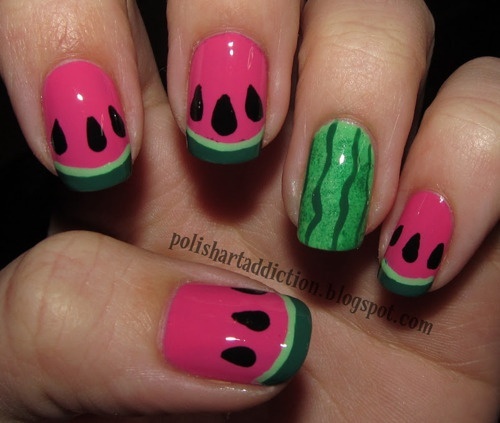 :) This watermelon nail art is so cute! And, it looks relatively simple (not for someone as clumsy & shaky-handed as me though, lol), which is definitely a plus! 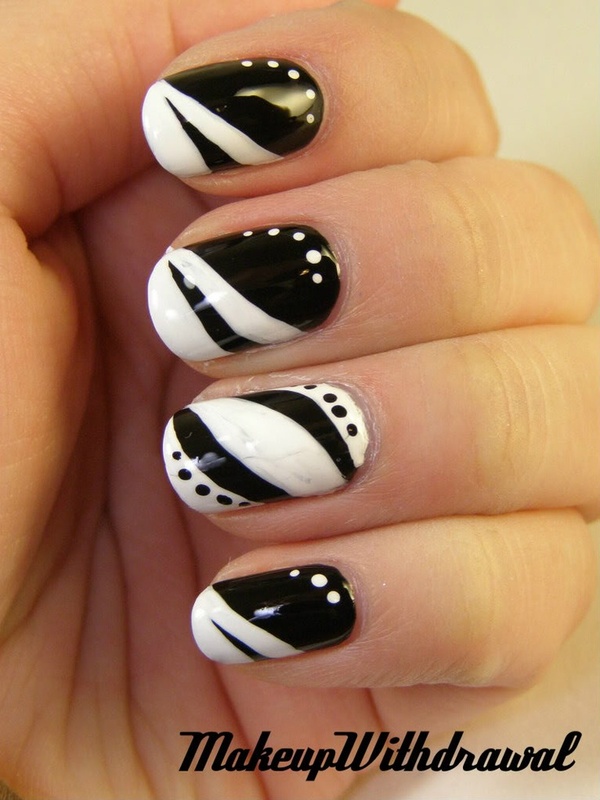 I LOVE black & white, it's my favorite color combination! Whether it's polka-dots, damask, stripes, floral, or a crazy geometric print, I love it. Which is why I love this & the first design so much.